Behold! I give to you the very first edition of The Lists to be based on fact and not opinion — unless you count box office data as the ultimate opinion of the masses. The decade is drawing to a close and unless something miraculous happens, the top 10 highest grossing films of the aughts is probably set in stone. At first I thought that would be a fun list to compile, but it turns out to be extremely boring and exactly what you’d expect it to be. If ever there was a doubt that this decade would be defined by anything but franchises, then let me put it to rest here. Number of sequels in the top 10 highest grossing movies of the 1990s: 1. Number of sequels in the top 10 highest grossing movies of the 2000s: 7. Audiences have overwhelmingly turned against original product in favor of something, anything with some sort of pre-existing source material, and it has happened over the last 10 years. Of course, I think audiences have always depended on something familiar to get them into the multiplex. It used to be the reputation of an actor or director that provided that comfort. Now, star power is a thing of the past and brand recognition is the wave of the future. Of course, there are always a few exceptions to the rules, and so I’ve compiled this list to celebrate some of the films that were able to permeate the public consciousness and earn the right to be called a blockbuster the hard way: by being original (relatively speaking). First, some caveats. A film like “The Passion of the Christ” is technically an original screenplay but obviously is based on stories from the Bible and carries an enormous built-in “fanbase,” so it was not considered for this list. I also decided to exclude animated films because if I didn’t, 50% of the list would be dominated by Pixar titles and that’s no fun either. In the interest of fairness, though, I will post the top 10 including animated films in the comments section. One final note. If I did a similar chart for the 1970s, 1980s and 1990s, the number one film would also actually be the highest grossing film of the decade. For the 2000s, the number one film on this chart is the 32nd highest grossing overall film. Oh, and all the numbers are adjusted to today’s figures, as always. You only need two words to account for the success of this film and they start with Will and end in Smith. The most dependable box office star of the decade had long been rumored to take on Captain America, but instead chose this original story of a new superhero to don leather spandex. 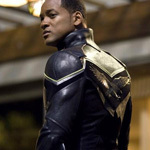 Hollywood doesn’t usually spend this much money on a completely new product but a cushy fourth of July opening and a solid mix of comedy and action in the trailers helped sell it to audiences, who wound up decisively mixed on a third act revelation. A sequel is currently in the works…naturally. R rated comedy had struggled in the first half of the decade and not much stock was placed in this low-key affair opening against Tim Burton’s “Charlie and the Chocolate Factory.” Johnny Depp and company easily won the weekend, but extraordinary word of mouth kept Owen Wilson and Vince Vaughn playing through the summer and finishing up behind only “Star Wars Episode III: Revenge of the Sith” and “War of the Worlds” when all was said and done. The chemistry between the two leads had everything to do with it and it’s a little surprising that Hollywood hasn’t lured the two back together in another project. I’m at a loss on this one. Sure, a light romantic comedy aimed at adults is bound for success in the Christmas season, but this one went way beyond reasonable expectations. 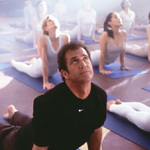 Mel Gibson was still a huge, controversy-free star at the time, riding a string of successive hits and apparently all women really wanted was to see him waxing his legs and dancing like Fred Astaire. I can’t quite put my personal feelings aside when talking about this film — it’s one of the few films I deem an outright F — but I did see it in the theater so I was clearly part of the problem. 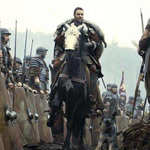 Ridley Scott’s film obviously owed a lot to the sword-and-sandals epics of yore, as well as various true stories and legends, but it was still an unknown property when it kicked off the summer season of 2000. 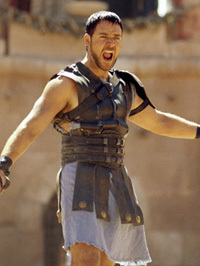 So was Russell Crowe for that matter, acclaimed for “The Insider” and “L.A. Confidential,” but hardly a movie star. It took great reviews and word of mouth to keep this playing all through the summer and on the Academy’s radar. Interestingly, it and “Crash” are both the only Best Picture winners of the decade with no previous source material and the only two winners released before the fall. True stories aren’t really considered source material and Bay certainly took his liberties with history in this overcooked and underthought epic. Always living in the shadow of “Titanic,” the film was actually considered a bit of a box office disappointment, but Bay and Disney easily made their money back and then some. It may live in infamy as Bay’s attempt, and monumental failure, at creating something artistic, but you’d be surprised how many fans the film actually has amongst older audiences, and its trailer still ranks as one of the best of the decade. “The Hangover” still has gas in its tank, but only a miracle would move it up a notch on this list. Coming out of absolutely nowhere, this has to be the success story of the second half of the decade. Virtually starless, but perfectly cast, and leaning on a paper-thin plot carved out of a relatable logline, the film struck a chord with audiences and possibly single-handedly revived a lagging tourism industry in Las Vegas. Explanations are few and far between, except that every now and then something hits the zeitgeist and if you can’t actually go with your buddies to Vegas and end up stealing a tiger, this is the next best thing. The quality of his films has obviously deteriorated significantly, but I still respect M. Night Shyamalan for trying to create old-fashioned blockbuster entertainment from original ideas each and every time out (except for this new awful-looking thing he’s doing). In the case of “Signs,” he knocked it out of the park, capitalizing on a nation filled with fear and paranoia and filtering that through an alien invasion story that happens almost exclusively off screen. Again, Mel Gibson is the anchor and this was his last starring appearance before next year’s “Edge of Darkness,” so technically, he’s still on quite a roll. Jim Carrey can seemingly do no wrong when paired with a high-concept “What If?” style comedy, and this was the apex of that. A surprisingly aggressive pro-Christian message helped the film play in conservative areas normally put off by the “Ace Ventura” star, and Morgan Freeman, Jennifer Aniston and Steve Carell all assured that he wouldn’t have to do all of the heavy lifting on his own. It may have also been helped by circumstance since the overall box office in May and June of 2003 was positively scorching. Carrey would follow this up with “Eternal Sunshine of the Spotless Mind” a year later. Undeniably, the box office story of the decade. The film opened with $700,000 on 100 screens and never looked back. Four weeks later it cracked the top 10 with $1.4 million on 275 screens. Fourteen weeks later it cracked the top 5 with $9.0 million on 1,329 screens. It was still in the top 5 nine weeks after that. Don’t even bother looking for an explanation here. There isn’t one, except that maybe this is possibly the only movie your grandma saw twice in the theater. The fact that it made so much money is both wildly embarrassing and wildly exhilarating to anyone interested in the box office. I know I said star power is a thing of the past, but in 2000 it was still alive and well, as evidenced by the number one film on our list. The movie is all Tom Hanks and its success comes down to his remarkable performance. The film may go down as the last live action film Robert Zemeckis ever made and the only film to ever make a star out of a volleyball. This is exactly the type of effort that could become a blockbuster in earlier decades but is having a much tougher time in the last few years. Hopefully, as with everything else, the box office is cyclical and the next decade will bring more original visions with risk-taking performances and filmmaking that audiences embrace. That’s the list. Surprises? Shocks? 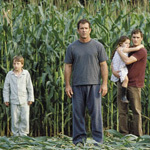 Bradley Cooper, Mel Gibson and Helen Hunt get the gold star awards for having two titles each on the list. I saw all but “Hancock” at least once in the theater. How about you? 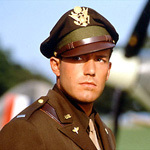 I had no idea Pearl Harbor was bigger than Gladiator. Great idea for a list, Kris. And yeah, what a difference Pixar makes. Good lord, that makes for depressing reading. I must admit I had no idea “Cast Away” had done THAT well. Christ. 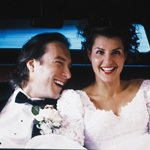 I’d question the inclusion of “My Big Fat Greek Wedding,” though — the Academy may have deemed it an original screenplay, but it was plainly based on Nia Vardalos’ stage work. I am still utterly amazed at the success of What Women Want, and still even more amazed that it, were a man reads womens’ thoughts and conveniently finds out that they’re all thinking about him, was actually directed by a woman. Chad’s idea, Brian, not mine. Good list, interesting that Mel Gibson is the star for two of the movies. As for the animated list, I assume being that the Shrek films had fairy tale elements they are not original? Kris you’re not alone, What Women Want is a bit of not quite guilty pleasure of mine. Mike: Shrek was adapted from a book. Besides ‘The Hangover,’ what other film on this list did Bradley Cooper star in? The list offers some surprises for sure. Hancock being the biggest one for me. That third act was the best part of the film, out of touch with the first two, but nonetheless the best. Seems that this trend has really come about in the past 5 years. With the exception of hancock and the hangover, all of these movies came out in the mid to early aughts. 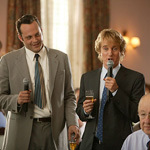 Wedding crashers came out in ’05 but the rest came out in the years prior. Wonder if there’s a correlation with that and the big arrival of comic adaptations. There’s definitely a correlation between Spider-Man making $100 mil in 3 days in 2002 and the market being flooded with comic book adaptations and sequels ever since. 2000 was a good year for Helen Hunt in general. she was all over the silver screen. Where would Passion of the Christ be if you would have allowed it? would it have been on the list at all? If so you could add God to the list of people appearing in two films. lol. How come Boxofficemojo.com has Cast Away grossing only 233 mil domestically? It also has My Big Fat Greek Wedding at 241 mil. Sorry, I just read the adjusted the gross. Passion of the Christ would be number one by a country mile. Higher than Finding Nemo even. I love the term country mile. Wow, Kris thanks, I had no idea it was a book first, thanks. If in fact we rank these by adjusted grosses, which basically just ranks the number of tickets bought at today’s prices, it makes more sense to just rank them rather than give the adjusted grosses because then it makes these movies seem more successful than they actually were. It really is sad to see how much ticket price inflation there’s been in just ten years. 20 bucks a movie by 2020? I hate Cast Away so, so much. Pirates of the Caribbean doesn’t count as original? Sure it’s based on a ride but Pearl Harbor is based on a real event. Tough call. It had brand recognition, which is why I decided not to include it. I find Cast Away at #1 being more impressive because the trailer basically spoiled the ENTIRE film. How does one “hate” Cast Away? I’m genuinely intrigued. I loved it, and I can see why some wouldn’t, but it’s a fairly brazen venture. Other live-actions without built-in fanbases (though not Original Screenplays): 300, I Am Legend (Will Smith), Night at the Museum (Ben Stiller & Owen Wilson), Day After Tomorrow, Signs (M. Night & Mel Gibson), Pirates: Curse of the Black Pearl (Depp, Bloom, Knightley, Bruckheimer). All somewhat action-y. I think Pirates semi-counts because, say, Haunted Mansion & Country Bears didn’t get much $ despite the similar origins. Neat list. I can see, though, how it could be monotonous. 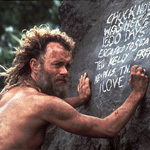 But I was very surprised by Cast Away and What Women Want. I had no idea each one did THAT well. But I was happy to see Cast Away up there. Not so happy about the former. I’d say it was pretty miraculous.